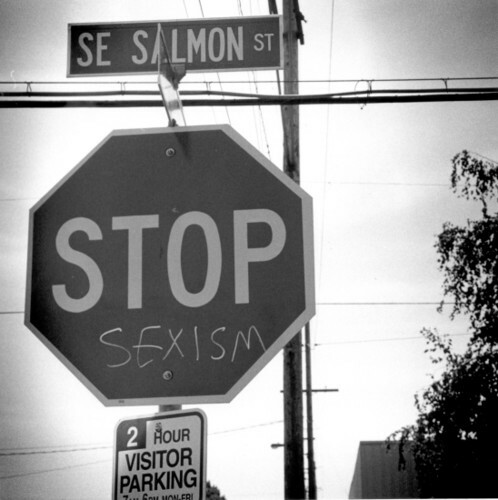 Stop sexism. . Wallpaper and background images in the Feminism club tagged: feminist feminism. This Feminism photo might contain keine parkzone. Sexism shall turn Du into a sandwhich! Good message, yes. Worth defacing town property? No. You can share the good word on the internet.